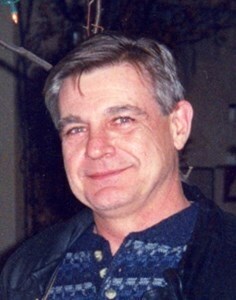 Newcomer Family Obituaries - James Burns 1949 - 2019 - Newcomer Cremations, Funerals & Receptions. Burns, James age 69, of Green Township, Ohio passed away on Saturday, March 23, 2019. He was born in Cincinnati, Ohio on September 7, 1949 to Charles and Alberta Burns (nee Hoffman ). James is survived by his beloved wife of 47 years, Margaret Anne Burns (nee Deeken); children, David (Sarah) Burns, Robyn Burns; grandchildren, Anna, Christopher and Faith; siblings, William (Carol) Burns, Robert Burns, Janet (Denny) Miller, Barbara Burns; many nieces and nephews and a host of other family members and friends. He was preceded in death by his parents, Charles and Alberta Burns; sister, Rosemary Burns. James retired from a long and happy career as a printer in 2015 after 45 years of employment with SpringDot. James is also a proud veteran of the United States Navy. In loving memory of James, contributions may be made to American Heart Association, American Cancer Society. A visitation will be held from 11:00 am to 1:00 pm with funeral ceremony to immediately follow at 1:00 pm on Friday, March 29, 2019 at Newcomer Cremations, Funerals & Receptions - West Side Chapel, 3300 Parkcrest Lane, Cincinnati, Ohio 45211. Burial to follow at Arlington Memorial Gardens 2145 Compton Road, Cincinnati, Ohio 45231. Add your memories to the guest book of James Burns. Jim you were always the life of the party. I have no doubt you have everyone in heaven laughing at your jokes already. Rest in Peace sweet friend. Rest in peace daddy. You were the best dad and pappy anyone could ever want. You were there for me with everything. I miss you like crazy already. I love you so much. I will make sure Faith knows her pappy and how much you loved her. You will always be in my heart. Until me meet again love you. Your daughter, Robyn. Uncle Jimmy, I will never forget when I was little you carried me thru the WSAI haunted house. My nail imprints are probably still in your jacket. I love you so much, you will be so missed.